So you have your new adorable beagle puppy, you have played with it and fawned over it for a few days, but now you are beginning to realize that you need to learn how to train a beagle puppy. 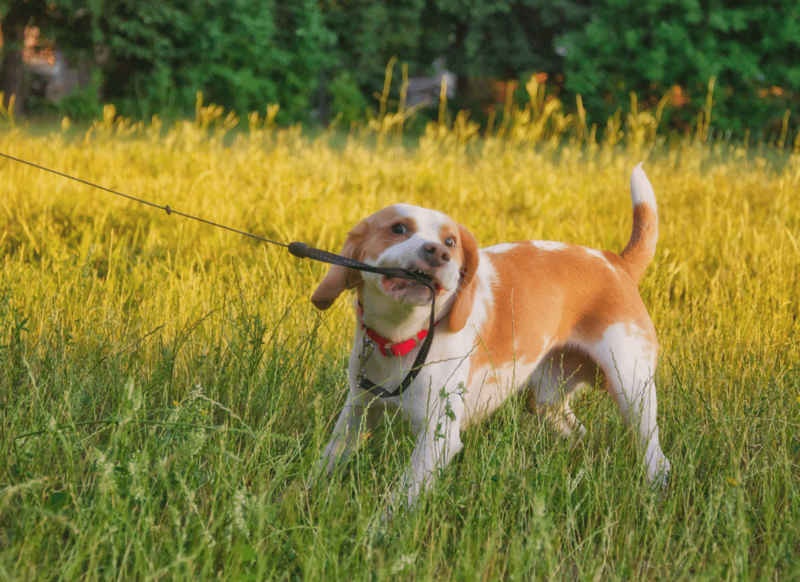 The process can be tricky, but Beagles can be quick to train if you begin when they are still young, and in the end, having a well trained puppy is very rewarding. Beagles are some of the most loyal and most beloved dogs in not only the United States of America, but around the globe. 1.1 Some tips to keep in mind when trying to figure out how to train a beagle puppy. Before you begin to train your puppy, it might be helpful to understand its breed. Beagles are a small breed of dog similar to Foxhound. Beagles have shorter legs and floppy soft ears. Beagles are trained to hunt and play games. They have a powerful sense of smell, which is often used as rescue and drug sniffing dogs. Beagles are very fun and outgoing dogs. They love people and running around. Beagles are very energetic, yet make poor guard dogs because they are so attracted to new people. Sometimes this can make them difficult to train, because they are easily distracted and full of energy. Beagles are very smart dogs. They can figure out how to open doors, jump over fences, fetch, but also get into trouble. Be sure to keep food out of their reach because they will quickly learn to jump up and get it. They love food and use their keen sense of smell to find it. Beagles, largely because of their friendly nature, respond better to positive reinforcement rather than negative. This means that it is very important to encourage your puppy and if you should need to punish it. When house training a beagle you should reward it when it does something that you want it to. For example, give it its favorite treats every time that it uses the bathroom outside. Do not rub its nose in the mess, but rather take it outdoors until it uses the bathroom again, and give it a treat when it does. Scold negative acts with a firm and loud, “No!” being sure to express your disapproval. However, there is no need to become violent with your dog. Repetitive motions are great teaching tools and doing something, exactly the same way each time teaches your puppy quickly. House training a beagle can be a quick process if you take it out for walks the same time each day, respond with the same treats, and use the same punishment words and tone each time. Another question people often ask about how to train a beagle puppy is how soon to begin the training process. The easier answer is as soon as possible. Beagles learn very quickly. 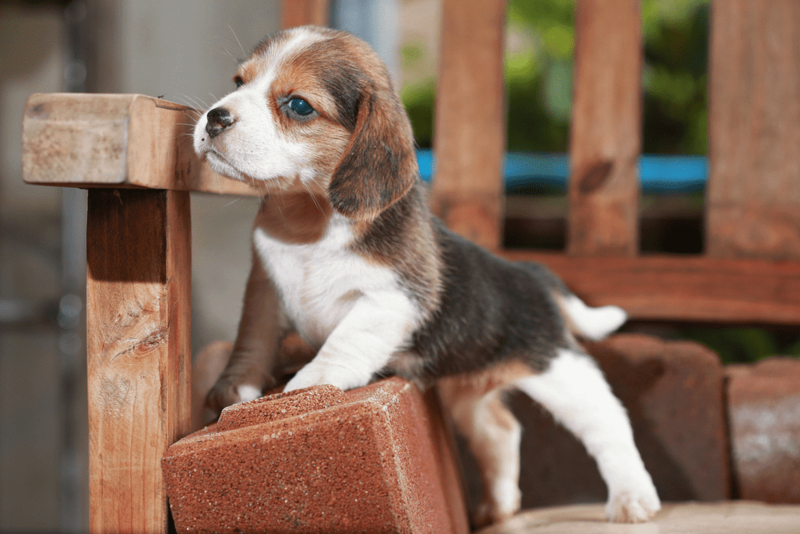 This means that not only is it possible to teach it good habits at a young age, but also that if you do not train your beagle puppies early on, they will get into the bad habits you do not want them to have and they will be difficult to break. Do not wait to start house training a beagle. 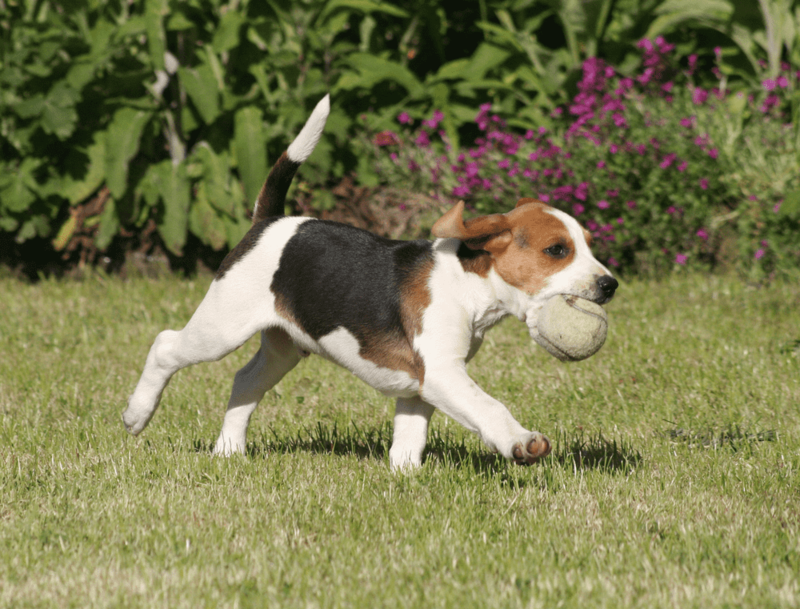 Beagles like to run and play, and are great for people with big back yards. Play with your dog often to establish a friendship. This will also make your beagle more likely to respond to your expressions of disapproval. 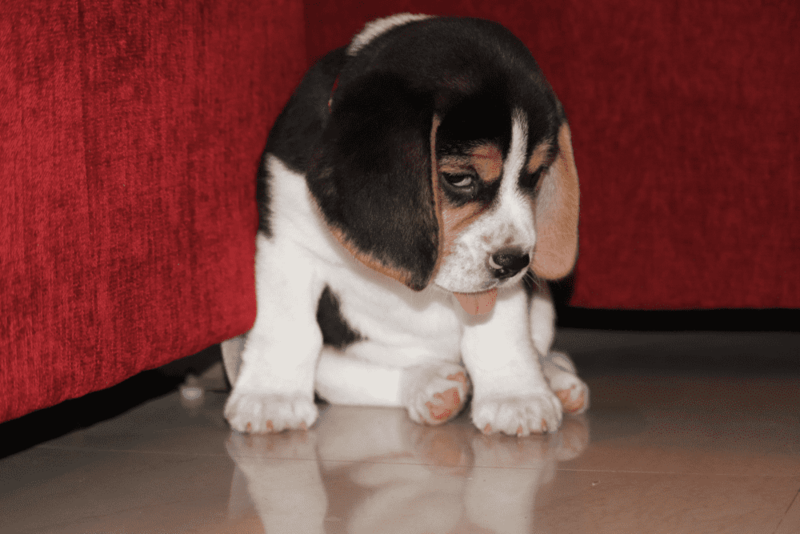 If your Beagle puppy knows that you can be its friend it will not want to make you upset. Remember never be violent or aggressive with a dog. This can train them to respond violently, both to you or toward other people and dogs. It can also make your dog introverted and sad rather than the happy, friendly dog you want. Some tips to keep in mind when trying to figure out how to train a beagle puppy. One: try to be supportive instead of negative, give it treats when good things happen to encourage good behaviours; to discourage bad behaviour give your dog firm a firm “No” or “Bad”. Two: Play with your dog often to establish a good relationship. Four: Never be violent with your puppy. And five: Repetitive motions are great teaching tools and doing something exactly the same way each time teaches your puppy quickly. Your beautiful beagle may not write fantastic stories and be the prudent companion of one of the world’s most famous cartoons, but he or she is sure to be the apple of your eye. The beagle type dog has been around for nearly 2,000 years, but only as a breed of their own since about the 1830’s. They were created from selective breeding of many different scent hound breeds including the Talbot Hound, Southern Hound and North Country Beagle. This small to medium size animal is smart, even tempered and not given to inherited diseases, which makes them the perfect pet and unfortunately subject for animal testing. Beagle puppies have to be one of the cutest canines on the planet! Long soft ears frame a warm loving face that is primed and ready to show you affection at the drop of a hat. Being from the scent hound, these animals are natural investigators and can sniff out a mouse in an acre field in less than a minute, and this is a proven fact! All of these features of this compact dog make them a number one choice of families, hunters and even law enforcement. If you have immediately fallen in love with the great beagle, you are probably in need of some puppy training advice. Young beagle puppies are full of boundless energy and innate curiosity, which combines for unique training issues. You see the beagle has been trained for hunting and in particularly the long chase; this means your beagle puppy training will be faced with an animal that is single minded and focused. Their extreme sense of smell makes it difficult to pull them away once they have caught a particular scent that interests them. Although they are highly intelligent, they are easily distracted by all the smells around them. For this reason, you will seldom see the beagle in obedience competitions; in fact, they are ranked lowest degree of working obedience and intelligence. Genetically all dogs are descendents of the wolf, which makes them predisposed to a pack mentality. However, most dogs over the years have adapted to the single living style associated with being pets. Beagles, on the other hand have been long used as a pack dog for hunting and therefore prone to separation anxiety. You will need to be patient and understanding with them. As mentioned above the beagle has been trained to hunt for long periods of time. They have extreme amounts of energy that need some form of exercise daily if possible. This does not mean you have to run them to exhaustion however; it would be a good idea to take them for a walk or play Frisbee in the park on occasion. This also helps to ward of extreme weight gain to which the breed is prone. Beagles are soft, loving and entertaining breed that will provide gentle companionship for you and your family for many years. Understanding the breeds inherit traits will give you a leg up on puppy training and make for a happy contented home for all concerned.